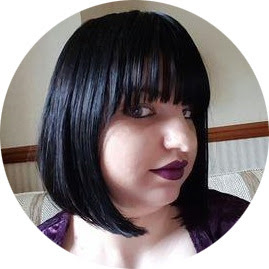 This is my personal blog, written and edited by me, Kerrie Black to find out more about me select the 'About Me' tab above. I love my followers and reading your comments about your experiences with different products, I encouraged your interaction and welcome it at anytime! However I do ask that any hurtful or harmful comments are kept to your self, I don't want to read them and neither do my followers. I have no problem with my work being put on your own website or blog or you pinning me on Pinterest as long as you tell me and give me credit and link back to my blog because I spend time and effort blogging. Please do not remove my watermarks from the images! I also do not want to be associated with any negitivity, if you don't have anything nice to say just leave my small little blog alone. All material produced by Kerrie Black under the website PishPosh and Polish is protected by The Copyright Act. All images used are my own unless otherwise stated and are therefore protected under The Copyright Act. Please, do not remove any watermark from my photos, or use them without crediting and linking back to this blog or one of my other social media sites. I do tend to use Google images/ stock images and Pinterest for a lot of my image sourcing eg: nail art ideas. I will acknowledge any photos used and will provide links where I can. If you do not wish for your images to appear on this site please contact me and the images will be removed right away. I do (and would love to) accept samples and advertising from companies about new or current products and releases. All my reviews will remain completely honest. If you are a company and would like to contact me you can do so a pishposhandpolish@hotmail.co.uk please quote 'PR' in the subject header. All product reviews will have a disclaimer letting my reader know these were sent for review purposes. 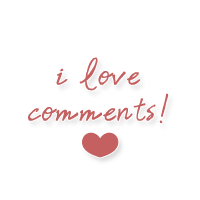 Everything I say will be honest at the time of writing my post and if anything changes I will be sure to update my blog posts accordingly to reflect that. All samples/compensation is/are deemed to be a gift, and do not constitute a contract for review. I reserve the right not to publish anything I feel it is not suitable or I have any issue with. Please note turn around time for my blog can vary according to how long it takes me to trial a product (for example a skin care product might take a month or more so I can review any noticeable results.) All opinions expressed on this blog are my own honest personal opinions based on my personal experiences with a product, and they will not be influenced by any form of compensation or sponsorship. My experiences are not the authority on said product and should not be deemed as such. Please do additional research before holding me accountable for any misguided purchases. Any PR samples, sponsored posts or paid insertions will be clearly marked. Although I work for Boots the Chemist all products pertaining to my workplace will have been bought with my own money and I will not have been compensated to write a review of any product sold within. Staff discount may have been applied to products bought specifically for my own useage only. Reviews will not be bias to my place of work or influenced in anyway and like all other reviews on this blog- will remain completely honest. Any giveaway prizes will not have been bought from my place of work although similar items may be sold therein (receipts will be kept for any Giveaway prizes as proof of purchase). All post related to Boots will adhere to there social media policies for employees. For any other questions pertaining to this please contact me directly. How can I follow your posts? You can follow me on: Blogger, Google Reader, by email, twitter , facebook or on pinterest or Instagram. There are buttons at the top of this blog for these options. It is now also super easy to pin my pictures to Pinterest, simply hover over the photograph you want and click the 'P' button that appears! You can also find my blog on Hello Cotton. I am willing to swap (subject to postal laws and my personal discretion ) . Please feel free to have a look at my wishlist but if there is a polish that you think I can get for you I may accept something not on my wishlist. 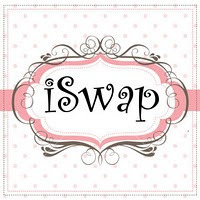 Again please contact me by email if you wish to arrange a swap please quote 'Swap' in the subject header.